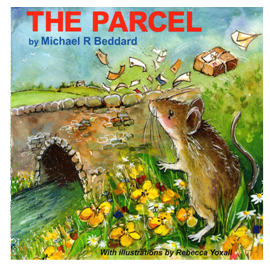 The story was written by Michael R Beddard and illustrated by Rebecca Yoxall both of them Cheshire-born and based, and both having a real love of nature. 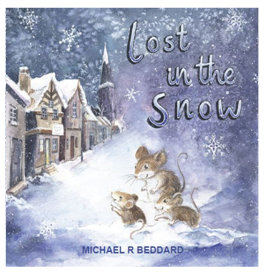 In this first story - field mice: Rachel, Jack and Uncle Olivier, are out exploring the village when they are caught up in a snowstorm. 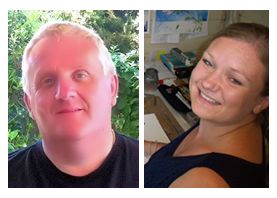 They quickly take shelter in the village theatre and very soon an exciting adventure unfolds. Adventure, bravery and quick-thinking are at the heart of all of the tales. All also share a theme that showing - and repaying - kindness brings happiness and satisfaction. Although originally written for children, the series is proving popular as a read aloud or read alone choice for adults, too. £6.99 + P&P. Spring is in the air and our little field mice friends invite you to join them on their next exciting adventure. A very important parcel has gone missing. Can the mice and their wildlife friends help to find it in time to save a special day in the life of Beauty Bank village? (age 7+) £9.99 + P&P. To the outsider’s eye, Beauty Bank is as ordinary as any other quiet and pretty Cheshire village. But ‘ordinary’ is hardly ever how it appears to the family of field mice – Rachel, her younger brother Jack and their Uncle Olivier – who live in the riverside meadow just outside of Beauty Bank. For them every new morning brings the promise of an extraordinary adventure just waiting to happen. On this morning, however, adventure seems far away. Spring is in the air, the sun is shining and Rachel is sitting on the riverbank, fascinated by the movements of a leaf being carried in the sparkling water as it ripples along like liquid glass. There is a small pebble island in the middle of the river and the leaf is dancing around it like a ballerina, caught in a fast little stream threading through the stones. The spell is only broken when suddenly the leaf escapes the island’s current and is whisked downstream and out of sight. Alert now, Rachel turns her head to look across the wild flower-filled meadow which her Uncle Olivier calls his garden. Screwing up her eyes against the sun, Rachel looks towards her little brother, Jack, running near the hedge in a very strange manner. “What is that silly boy up to now?” she smiled, as Jack raced forwards and back, holding one paw tight in front of him and regularly smacking the air behind him with the other. “Ah! Is he being a cowboy on a horse?” she guessed, and then laughed out loud when he proved her right by spinning an imaginary lasso above his head so wildly, he almost fell out of his make-believe saddle. She was just about to call to him “Whoa, pardner” when a loud clatter, thud, and a cry broke the silence for her. To find out what happens next.... pick up a copy of THE PARCEL from Davenham Post Office or click on the Merchandise button at the top left of this page.